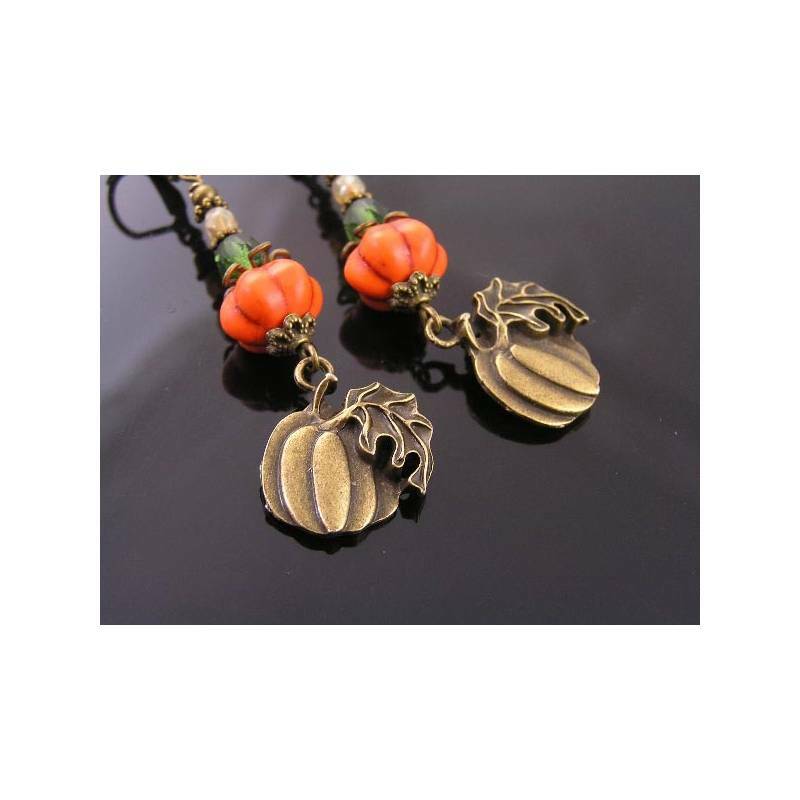 Pumpkin charm and pumpkin beads. 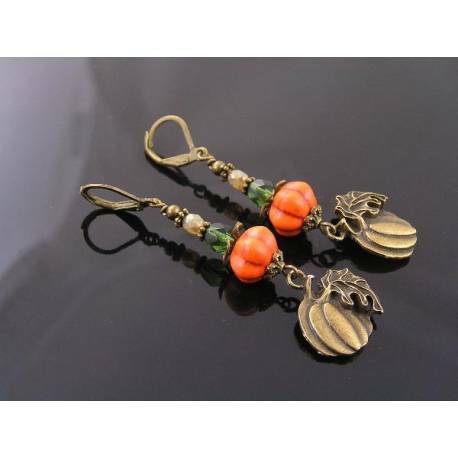 This is another fun pair of Halloween earrings. 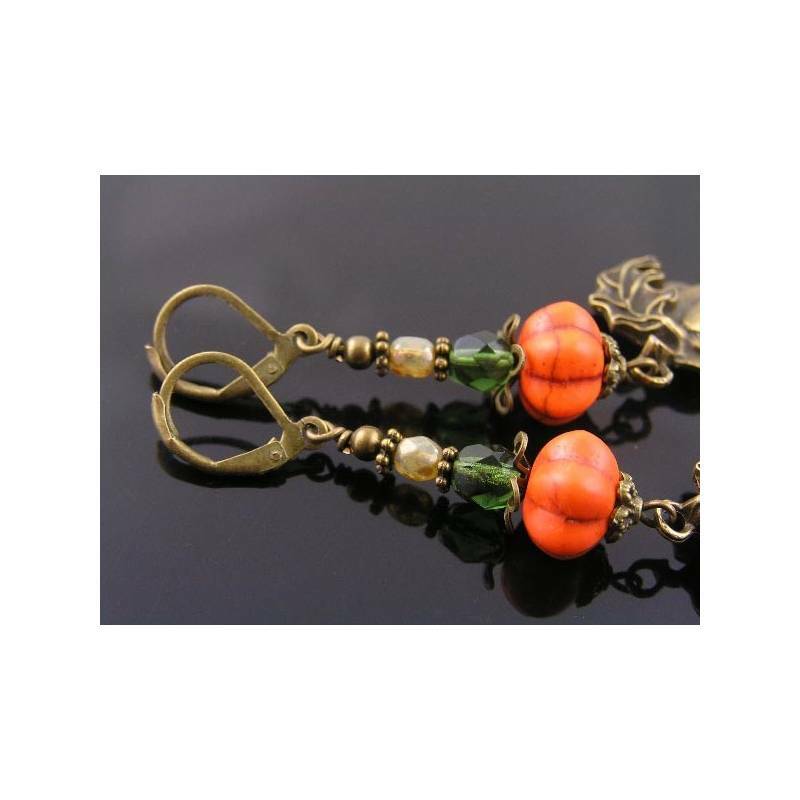 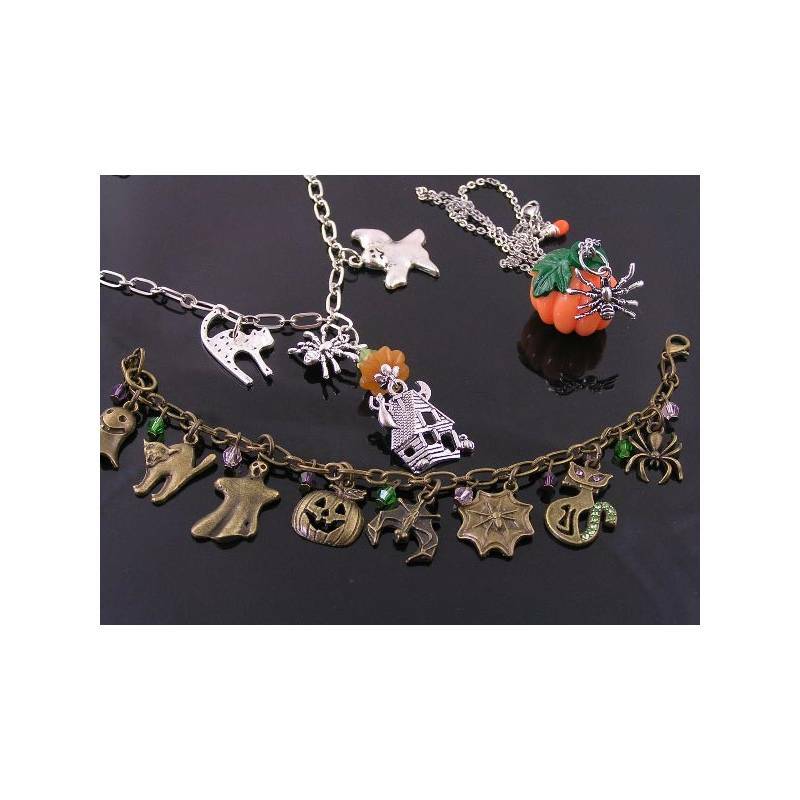 They have highly detailed, dangling pumpkin charms attached to lines of Czech glass beads and pumpkin shaped orange Howlite beads. 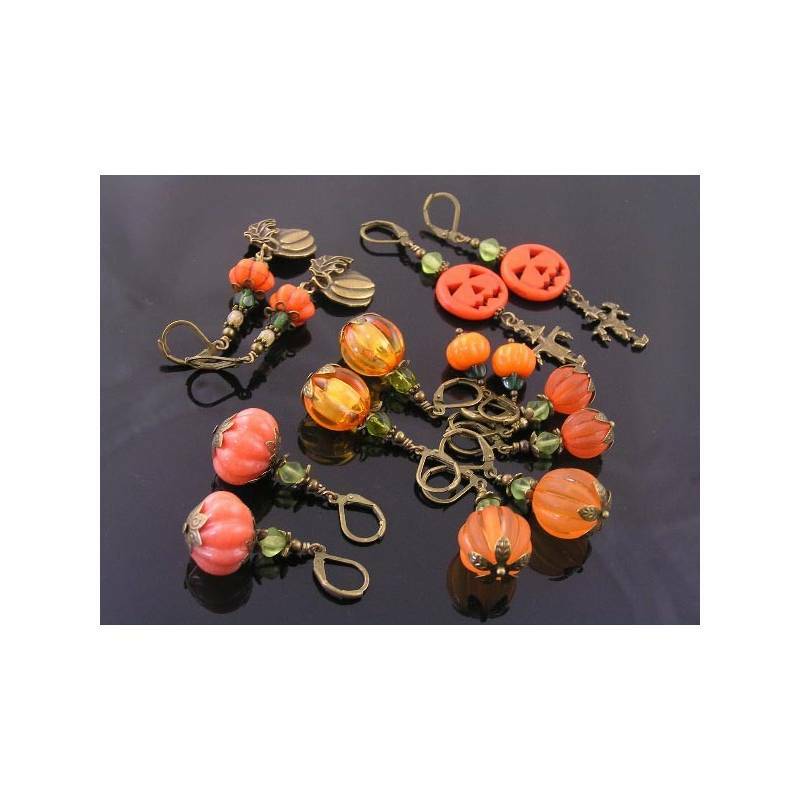 All beads are framed by bead caps and daisy spacer beads and finally attached to secure lever back ear wires. 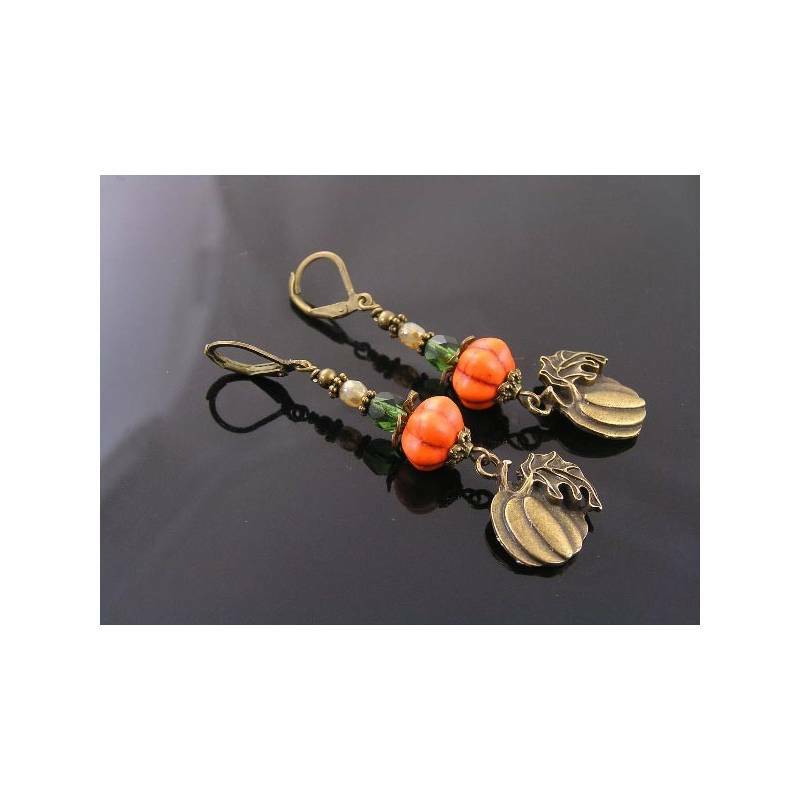 Total length is 65mm, all metal is antique bronze finished.